Golden Opportunities for Independence is working with the surrounding towns to bring our service dogs into the community. After seeing the positive results of having Walpole’s School Resource Officer (SRO) and Rebel in the schools and the community as a whole, we want to spread the love! 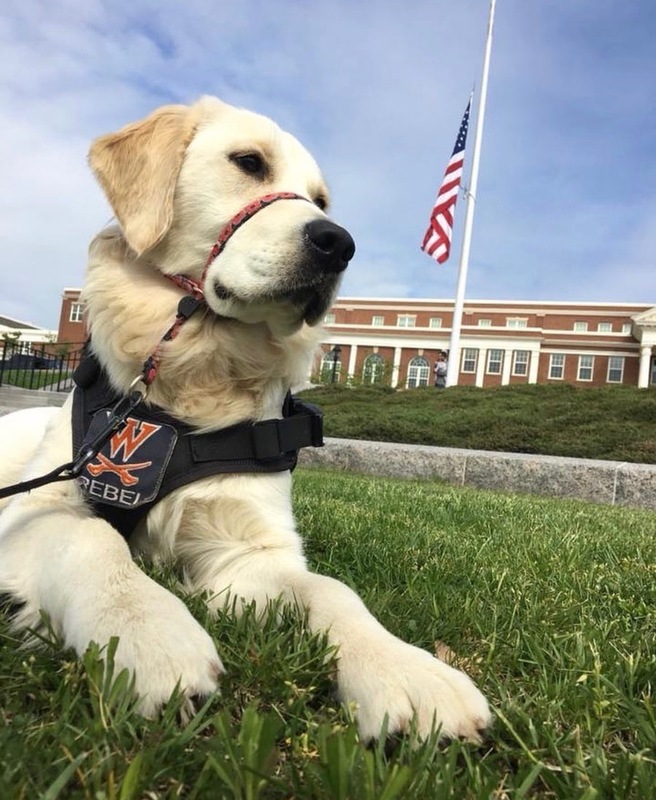 To read more information about the Walpole Service Dog Program and the impacts on the community, please read the article below, written by Rachel Jackson, school nurse at Walpole High School. Meet Our Newest Community Resource Duo! 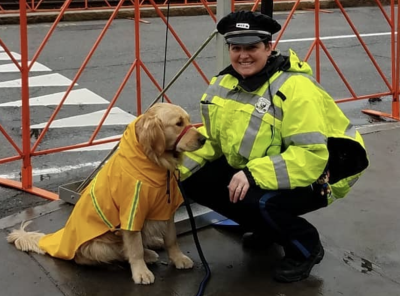 A Golden Retriever named Bear is currently in training to become an integral part of the Brookline Police Department. Bear has already graduated from Golden Opportunities for Independence’s (GOFIDOG) Service Dog program and is now in training for his new role as a “Community Resource Dog”. Bear’s main mission is to help Katie McCabe, the CRO of the Brookline Police Department, do her job by mitigating the social-emotional needs of school children and people in her community. Bear will accompany Katie to several different schools like Brookline High School, Baker, Coolidge Corner, Driscoll, and Runkle. The duo will also help demonstrate the departments commitment to community policing as well as building bridges of trust and communication throughout the city. The Brookline Police Department reached out to the Walpole Police Department when they saw their Resource Dog, Rebel, at work in the community and thought a similar program would be a valuable addition to their department. Before going to Brookline, Bear was first paired with a young boy with autism. Although his training was coming along well, the recipient’s parents felt the bond was not developing and wanted to make sure he was utilized to the best of his abilities. When the Brookline police inquired, Pauline Hoegler, Executive Director and Founder of GOFI, knew exactly which dog would be perfect for their situation. What she did not know was the officer slated to receive Bear was actually related to Rob Kearns, Bear’s current puppy raiser and that Rob’s father was an officer in Brookline. “The special connections within this program are such a beautiful thing”, states Pauline. “It truly is a family from the top down. The good that comes from this program always seems to come full circle all the time”.